Stadium : Riverside Ground, Chester-le-Street. AUS is not in form as they have lost all last 3 matches of the series. D Archy Short is out of form so there are chances that Alex Carey might replace him. AUS will be playing under the captaincy of T Paine. Most probably Andrew Tye will be dropped in this match. Nathan Lyon might replace Andrew Tye in playing 11. 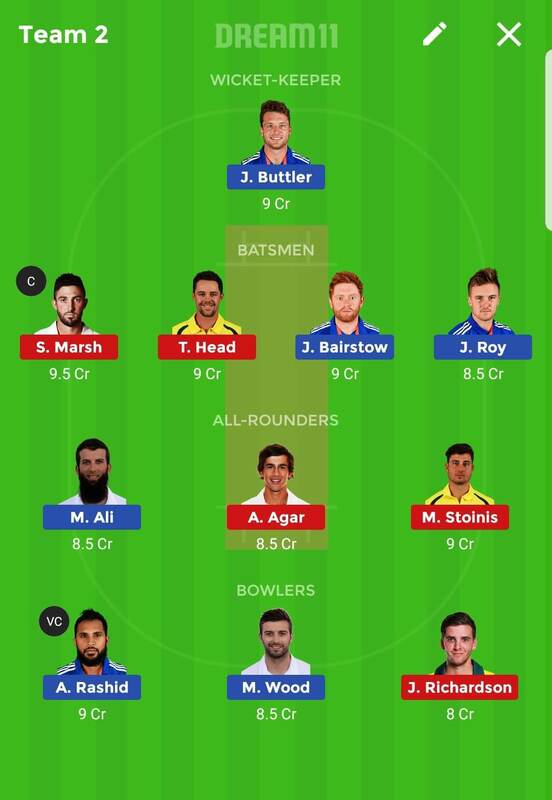 Probably Liam Plunkett will be retsed and Tom Curran is expected to take his place in playing 11. Alex Hales is back in form from last match. David Willey might retain his place in playing 11 by his valuable contribution.